Easton Lodge is a historic estate in Essex, with gardens open to the public. 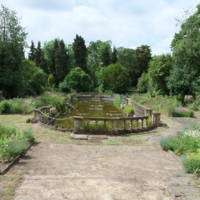 The Gardens of Easton Lodge Preservation Trust led two projects to mark the bicentenary. Liberation Song involved three local schools working with Grand Union Orchestra to explore the roots of musical instruments and styles, culminating in a community concert. A visual arts project involving seven local schools examined the history of Easton Lodge and trading links during the 18th century. Children decorated and displayed cotton reusable carrier bags and displayed them on yew hedges in the gardens. Connections were made with the story of the 18th century Ghanaian anti-slavery campaigner Ottobah Cugoano and the modern day Fair trade movement. The Cowper and Newton Museum is located in Olney, Buckinghamshire, in the building that was once the home of the 18th century poet William Cowper. The Reverend John Newton - formerly master of a slave ship - was Cowper's great friend, and wrote the abolitionist hymn 'Amazing Grace' in collaboration with Cowper whilst living in Olney. 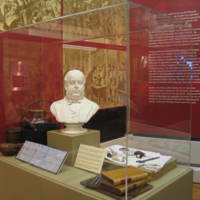 The museum's exhibition From Slave Trade to Fair Trade involved a reinterpretation of the museum's collections relating to slavery and abolition. The wider project also included a number of events and community engagement activities, in partnership with Milton Keynes Local Authority, Global Education Milton Keynes (GEMK), the charity World Vision and Culture Milton Keynes. Local black and minority ethnic groups worked with the museum on performances of poetry and readings associated with slavery. 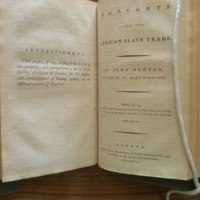 A touring display about John Newton and the transatlantic slave trade was shown in various schools, libraries and other locations in Milton Keynes throughout 2007. In April that year, the museum commemorated the bicentenary of the Abolition Act and the death of John Newton with a weekend of talks, tours, church services and a concert from the Todd Murray Group choir. Black Man Don't Float? 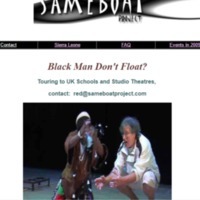 is a play developed by Sameboat Project, a not-for-profit organisation working in collaboration with the Pierian Centre Bristol, Gecko Theatre Ipswich, and the Arrow Project at University College Plymouth. Set in the ocean off West Africa, a white yachtsman collides with an African economic migrant who is trying to reach the Canaries in a home-made vessel. They have to co-operate to survive, but their differences lead to confusion. Performed by West African performer Ayodele Scott and UK-based writer and performer Martin Hubbard, Black Man Don't Float? was shown in the UK and then travelled to Sierra Leone. The show was accompanied by a workshop entitled Fair Share, exploring issues around the fair sharing of resources, and the challenges facing developed and developing nations in their negotiations about aid, trade and the exploitation of natural resources. York Castle Museum's Unfair Trade exhibition used the museum's collections to explore slavery from the viewpoint of ordinary people, and how consumption of slave-produced everyday commodities - sugar, tea, coffee, cocoa - contributed to the slave trade. It also looked at the part played by York in the abolition of the slave trade and slavery, with the many Quakers of the city supporting William Wilberforce and helping to finance his election campaign. The exhibition continued the focus on consumption into modern life by asking visitors to consider where the products they buy come from. 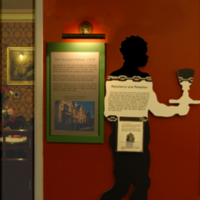 York Castle Museum features a recreated Victorian street, Kirkgate, with its own newspaper, 'The Kirkgate Examiner'. 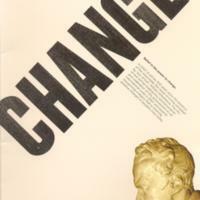 A special edition was distributed to coincide with the exhibition. Wilberforce 2007 was a year-long programme of events from Hull City Council, commemorating the bicentenary and celebrating the city's diverse communities. The programme, named after 'son of Hull' William Wilberforce MP, was based around the themes of Pride, Freedom, Belief and Change. In partnership with Anti-Slavery International, Hull promoted the Fight for Freedom Petition against modern day slavery. The Wilberforce Lecture Trust held five specially commissioned lectures. The Wilberforce Weekender in July 2007 was a weekend of public events, including the Wilberforce Clipper Challenge Cup, Sankofa Sunsplash (celebrating African and Caribbean culture, food and music), Zapcat Racing, and the annual Jazz Festival. Throughout the year there were concerts and specially commissioned pieces from the Hull Choral Union, Hull Philharmonic, Hull Sinfonietta and the East Yorkshire Motor Services Brass Band. Other initiatives raised awareness of Fair Trade, and there was a variety of educational programmes and events. Funding was also made available for smaller community projects. Touchstones Rochdale was one of eight heritage bodies in the ‘Revealing Histories: Remembering Slavery’ partnership in Greater Manchester. The project set out to explore the history, impact and legacy of slavery on Britain through collections and community links in the North West. Rochdale's connections to slavery were explored though two exhibitions at Touchstones Rochdale, which featured museum trails and family events. 'The Fight to End Slavery: A Local Story' examined the town's role in the struggle to end slavery in North America, including the work of prominent abolitionists from Lancashire. The exhibition also looked at the impact of the Lancashire cotton famine, which occurred as a result of the blockade of southern American ports during the Civil War. 'Linking Threads: Textile Industrialists and the Art Collection' focused on works given to the Rochdale Art Gallery collection by benefactors who had links to the local textile industry, such as Robert Taylor Heape and Richard Heape. 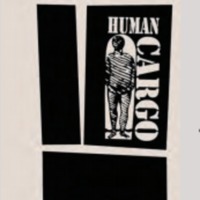 Human Cargo was a partnership project between Plymouth City Museum and Art Gallery, and the Royal Albert Memorial Museum, Exeter. The project consisted of two main components. The first was a historical exhibition, which explored the development of the transatlantic slave trade and, in particular, the role of Plymouth as a port, the involvement of the City's dignitaries and the South West's links with the abolition movement. The second part was a contemporary art response to modern forms of slavery and historical legacies, including the flower picking trade, sweatshop labour and the Fair Trade Movement. This work was newly commissioned and included audio visual pieces, installations, hand-printed wallpaper and participatory objects. A variety of events and activities took place alongside the exhibition including education workshops, performances, African music and storytelling activities, and Elizabethan House re-enactment sessions.